MILAN (Reuters) – Italian lawmakers try to recover the national economy by bridging the large gap with other European countries in broadband penetration, e-governement and other digital services. According to a report this month by Milan’s Politecnico university, high prices and the lack of access infrastructure are the main obstacles to households using the Internet. Data in the study showed penetration of broadband services with a speed exceeding 30 Megabits per second in Italy is lower than 1 percent, well below the European average of 6 percent. 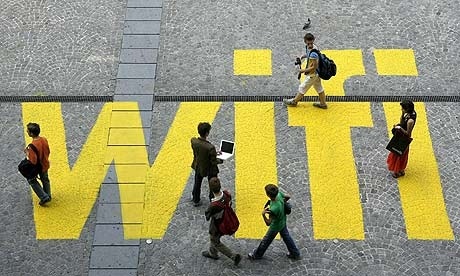 More than 100 members of the italian parliaments, together with Sergio Boccadutri from the ruling Democratic Party, have put forward a proposal for no-password free WiFi access in thousands of public places such as airports, law courts, taxis and large shops. This plan would earmark 5 million euros ($6.3 million) over three years as a contribution to buying equipment; the proposers aim to bring the bill before parliament by mid-2015. “We are really badly placed when it comes to Internet access,” Sergio Boccadutri, a member of the ruling Democratic Party and sponsor of the proposal, said. Cloud-based networking has an important role in this process, removing economic and operational barriers, making Wi-Fi more manageable and more democratic. Related blog post: India. Another step towards Wi-Fi connectivity and e-government.